The history of the service stations is fascinating, as mere sheet steel is bended and twisted and painted until it becomes a thing of real beauty. 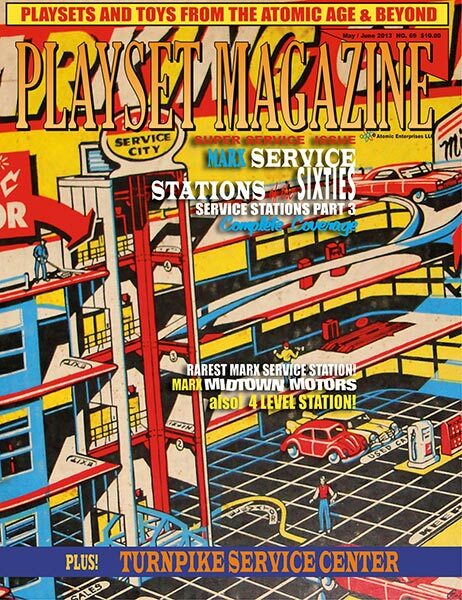 One of the most exciting stories of this issue is of the truly rare Buddy-L Service Station from George Kroll. It's an all-service, all-stations issue and we hope you like this latest excursion onto America's roadways and down the sidestreets of beautiful tin litho and shining, inventive uses for Marx plastic.